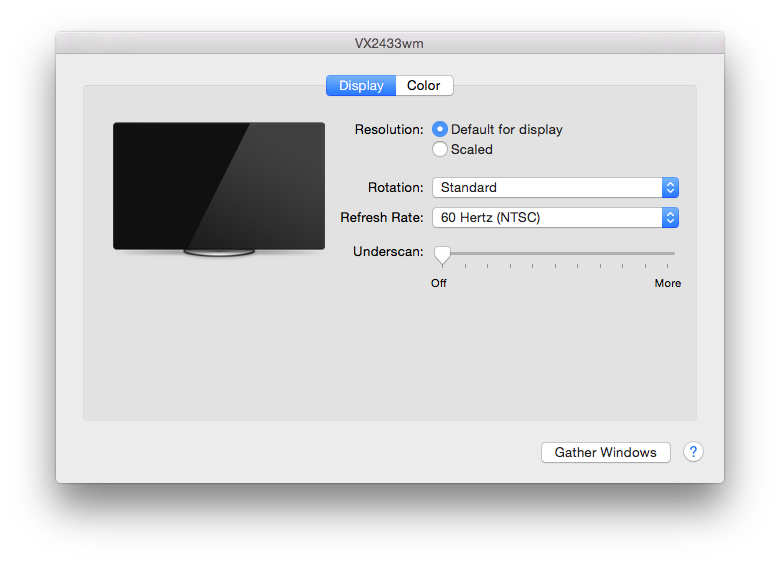 Is there a way to connect my MacBook Pro to two external monitors (either VGA or HDMI; no Thunderbolt) in such a way that the Mac screen serves as a third monitor? You need something like the Diamond BVU195 HD USB 2.0 to VGA / DVI / HDMI Adapter. This will give you your "display adapter" for your second external monitor. 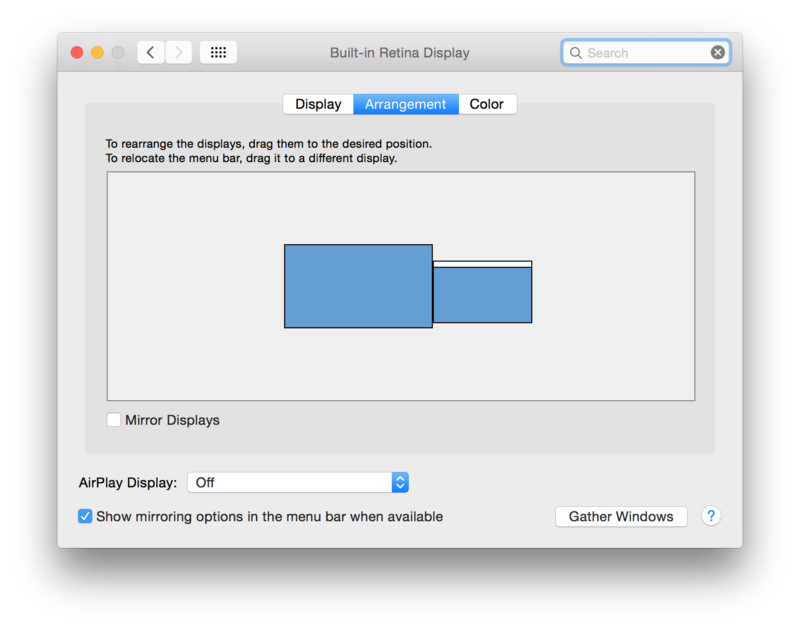 Now, you would set your primary monitor the same way you would in a dual monitor setup. This article from OS X Daily details it nicely. When you disconnect, as was mentioned in one of the comments above, your main display will revert back to the laptop screen. That's it. You're done. But if you want to see this working, check out this YouTube Video. Yes, there is a way, in fact I have my rMBP connected to a monitor right now via HDMI. Connect the Macbook (from now on, MB) to the monitors. Turn off Mirror Displays 5a. 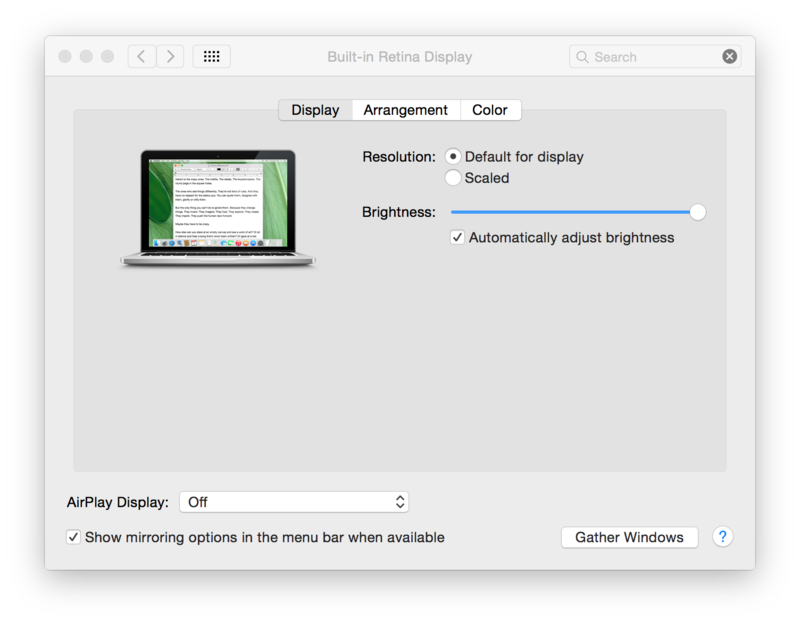 If you ever want to mirror on a whim, turn on "Show mirroring options in the menu bar when available". Arrange your monitors using the blue rectangles. Not the answer you're looking for? Browse other questions tagged macbook display screen hardware-recommendation .